We have pups! And more pups! 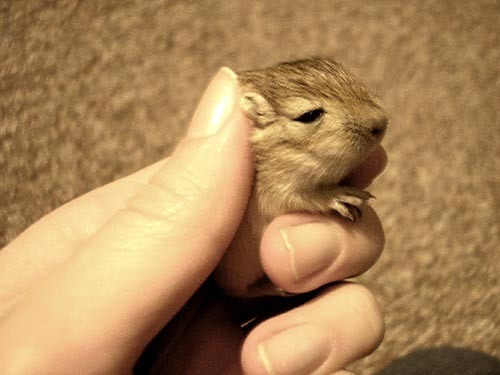 Baby black gerbils: Available are 2 female, 2 male-- 6 weeks June 8th 2013 and ready for their new homes. Very cute and sweet. Born May 31, 2014 litter of six. It looks like one pink-eyed white, one black, two Burmese, two Siamese. Will know for sure as coats comes in. Adorable!